Some may be surprised, others will be expecting the numbers to be on these lines, but the fact remains. Iran has been on a double-digit growth trajectory for three years in a row. TTN was informed, Iran is proving to be an increasingly popular destination with air travellers, experiencing growing passenger numbers from around the world – a trend that looks like continuing during 2017, according to a study by ForwardKeys, the leading travel intelligence analyst. Total international arrivals were up 18.3 per cent last year, sustaining an upward path since 2013 (up 2.7 per cent), 2014 (24.8 per cent) and 2015 (12.7 per cent). The pattern is reflected by a consistent year-on-year increase in total scheduled seats: 2014 (up 10.5 per cent), 2015 (18.3 per cent), 2016 (17.3 per cent). The study is timely, coming just weeks ahead of the inaugural Iran Hotel & Tourism Investment Conference (IHTIC) on February 7 to 8 this year in Tehran. Various high profile industry stakeholders are expected to be in attendance at the event, including which will international investors and hotel industry experts. 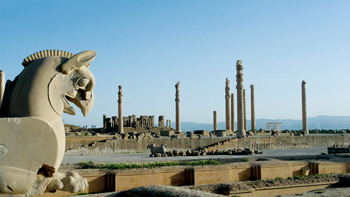 ForwardKeys, found that international arrivals to Iran saw positive monthly growth throughout 2016, with the exception of June because of the timing of Ramadan. The main source regions for air travel to Iran are North America, Europe and the Middle East. Together, they made up 83.7 per cent of international arrivals during 2016. Germany, with a 14.3 per cent market share, was up 8.3 per cent, followed by the USA (10.7 per cent share) up 9.3 per cent. Bahrain, Canada and the UK, all with significant market shares, also showed healthy growth in visitors to Iran. Among the 12 top origin countries, only China and Pakistan were outside these main regions. Data shows that 40 per cent of Chinese visitors to Iran last year were on business trips. Looking ahead, forward bookings (ie: bookings already made for future travel) for the first half of 2017 are ahead 14.8 per cent, based on those issued at the beginning of January, suggesting the upward surge of international visitors to Iran is still growing in momentum. Arrivals in Iran during 2017 are being boosted by increased air connectivity from a number of centres. Some key connections are from Italy with Alitalia and Iran Air tripling their scheduled seats since November last year. The Netherlands is connected by one more daily flight from Amsterdam to Tehran by KLM since October 2016. An increasing number of Belgian travellers are using Amsterdam to transfer to Iran, while Swiss travellers tend to route via Vienna, from where Austrian Airlines is doubling its scheduled seats during the first half of 2017.